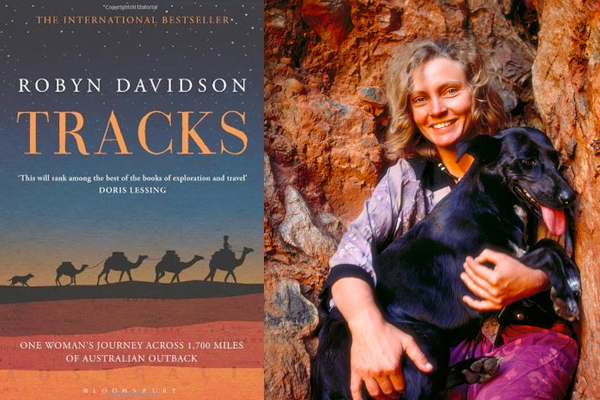 Tracks is a memoir about Robyn Davidson’s 1977 perilous journey across 2,700 kilometres of hostile Australian desert to the sea; she traveled with just four camels and a dog as company. Unlike other travel memories where the author seems to be in search of their identity or perhaps an understanding of what their life has become, Tracks is very much about Robyn’s independence. She wants to make the trek alone for as long as possible, understanding nature and animals and the Australian outback. She grows quite frustrated with tourists as their journeys intersect and she finds great solace in the little communities and villages that she stays in along the way. 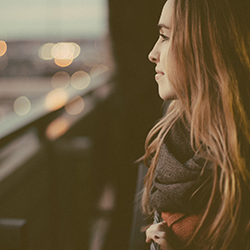 She spends a great deal of time preparing for her journey, and it’s quite an overwhelming experience for her. Her preparation was longer than the trip itself. 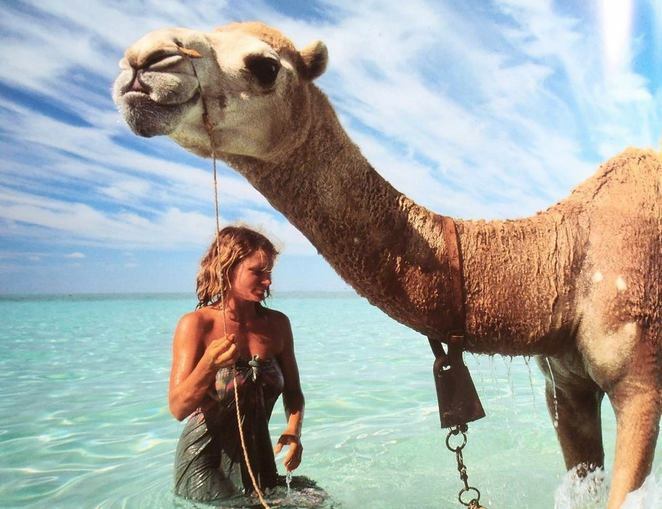 She journeyed from Alice Springs down south to the lip of the Indian Ocean, with only the camels and her dog Diggity for company. It took Robyn many months to learn how to manage the camels that she takes with her on the trip. They require a lot of attention and care, and Robyn has to learn a lot of information about their medical needs in case they run into trouble on the road. Robyn is a very fierce, blunt, independent woman who didn’t think her trek was that big of a deal. Not many people knew she was even going. She just wanted to be left alone, but she also needed money, so National Geographic offered her funding in exchange for her story. 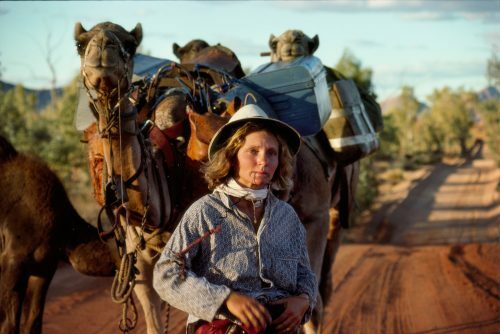 And that’s how she was dubbed ‘the camel lady’ by Australia. She is seen as a courageous woman, motivated by the beauty of the Australian landscape and an empathy for women and for Indigenous people. Even though Robyn deliberately didn’t dwell on her life before her journey, I would’ve liked to gain more of an insight into Robyn before her trip to Alice Springs. The reader doesn’t really get a sense of why she suddenly decided to make the trek, or what was the trigger for her to make that decision. You do feel like there’s a big section of the story missing that could’ve easily been inserted as a chapter or perhaps a prologue at the beginning. Tracks is regarded as an exceptional piece of travel writing, but it’s also a piece of writing that reflects heavily on sexism and racism. During her journey, she writes about how women – particularly Indigenous Australian women – were treated at the time. Robyn also comments on how many times she was told that it would be too dangerous for her to venture into the outback alone. Men leered at her and called her names, and the Indigenous Australians were subjected to many racist taunts and racist dialogue. Tracks is a short book and an easy read. There’s a lot of insight into a somewhat unknown part of the Australian landscape, and the reader can learn a lot from Tracks. It’s a raw, engaging insight into Robyn’s journey.